This themed hotel has a large living room with open fireplace, a bar, restaurant and cafÃ©. There are 6 spacious rooms offering splendid views of the snow-covered Atlas Mountains. Guests are welcomed into a lobby with 24-hour reception and check-out service. 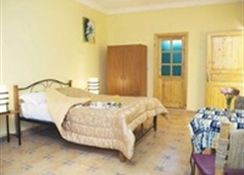 Facilities include air conditioning, TV lounge, Internet access, room and laundry services, car park and garage. LocationThe hotel is situated 4 minutes from the Djemaa el Fna central marketplace in Marrakesh, on the road to Ourika, just after the old sugar mill. There are numerous shopping opportunities, restaurants and a club close by. Sights nearby include the Koutoubia Mosque and the Majorelle botanical gardens. Menara Airport is about 2 km away. 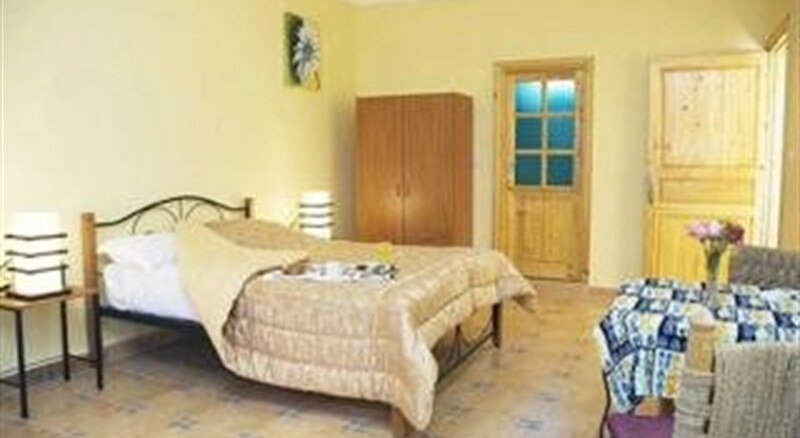 RoomsEach of the rooms are en suite with shower, bath and hairdryer. Guests can relax in the comfort of a double or king-size bed. Facilities include Internet access, tea and coffee making facilities, air conditioning and individually regulated heating. SportThe hotel has a hamam and space for massages so that guests discover an old rite which makes their stay truly relaxing. 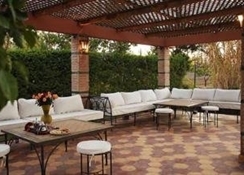 Guests can also unwind in the outdoor swimming pool or on the sun terrace with parasols. There is a golf course about 1 km away, while a ski resort is about 80 km away.